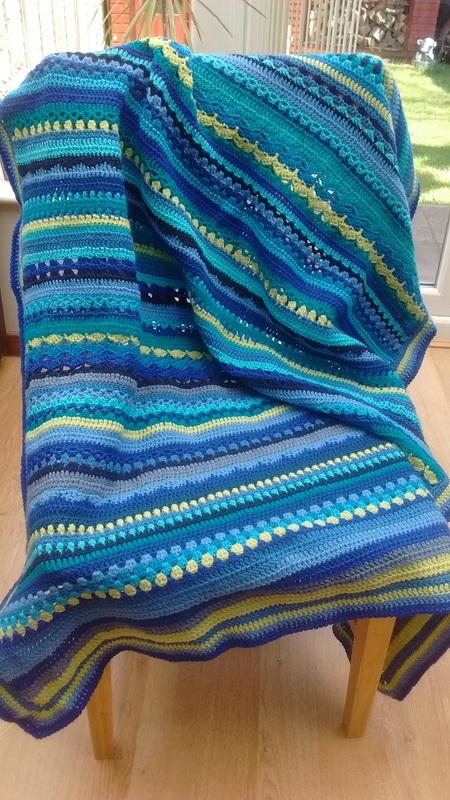 The pattern for the Spice of Life Blanket can be found here. It was a lovely pattern with clear instructions and easy to work the different parts together. I did my own border though as I do like a nice chunky border. All blog posts on "Spice of Life" can be found here. More photo's of the beautiful different stitches.